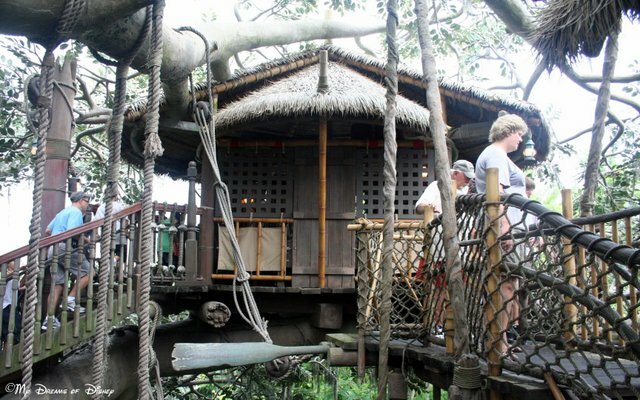 #DisneyTrivia – More Swiss Family Treehouse! More facts and figures about Swiss Family Treehouse! Hello everyone, and thank you for stopping by in our #DisneyTrivia segment tonight! As you probably know, today in our #DisneyWorldCountdown series we focused on the Swiss Family Treehouse, and since we are doing that on the day we do our Disney Trivia segment, we are including some facts and figures about the attraction as well! I’m happy to be joined by our founder Jodi from Magical Mouse Schoolhouse and Heidi from Heidi’s Head. Thank you ladies for joining in! Did you know there are 116 steps total in the attraction? Did you know that the tree is completely man-made, and stands at 90 feet tall and 60 feet wide? Did you know that this is an original Walt Disney World attraction, and opened on October 1st, 1971? Lastly, did you know that there are over 300,000 leaves on the tree, and that they were all put in place by hand?! Here are some additional photos from the attraction. I hope you enjoy them! A view of the water transport system. 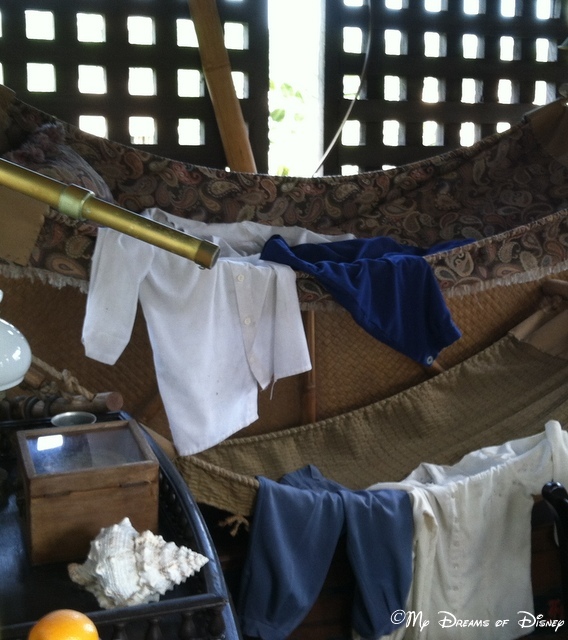 One room where the boys slept. Thank you for joining in today. Please take a moment and visit the other great entries for this week’s Tiggerific Tuesday Disney Trivia! If you have a blog, and a passion for Disney, then I encourage you to write your own trivia post and share it. Feel free to add your link using the form below. 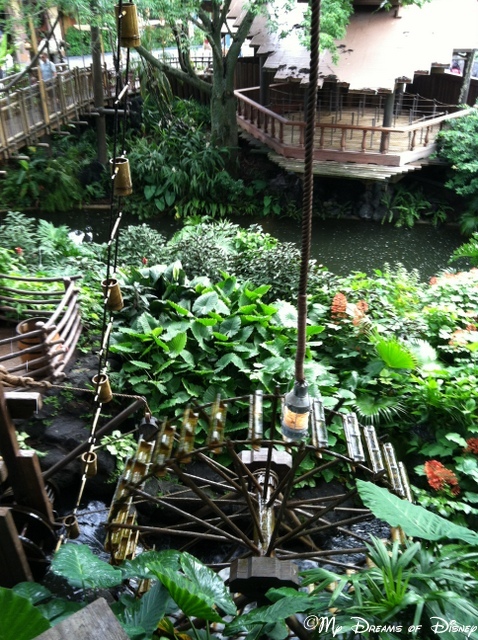 Swiss Family Treehouse shot of the water transport system. Hello everyone, and welcome to #Day48 in our #DisneyWorldCountdown! Today we are taking a look at the Swiss Family Treehouse attraction, an original attraction located in Adventureland! As crazy as this sounds, I love this attraction, it is one of my favorites to explore each visit, and I truly enjoy putting myself into the story and imagining what it would be like to have to live like this. 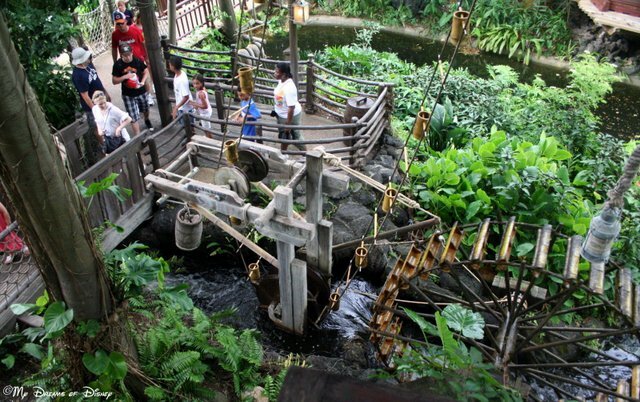 In fact, I like this attraction so much that it has been the subject of numerous blog posts, but this one in particular is one I really enjoy! Part of why I like the attraction is because of the unique vantage points that it reveals — did you know that you could check out Space Mountain from the Treehouse? 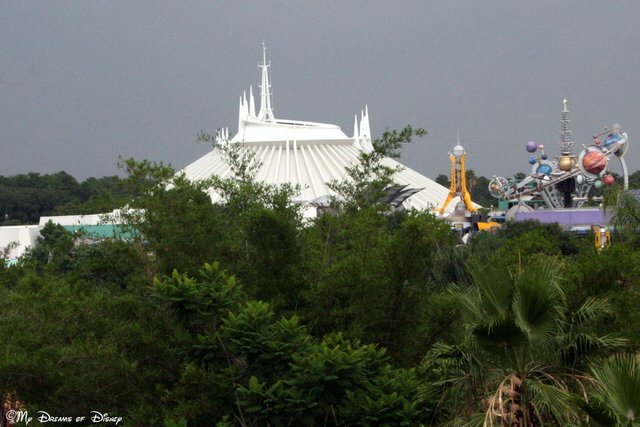 A shot of Space Mountain from over at the Swiss Family Treehouse. The top of the Swiss Family Treehouse. The only thing I wish was that it was accessible for disabled guests. I know that this would be very hard to accomplish, but it would be nice to see. 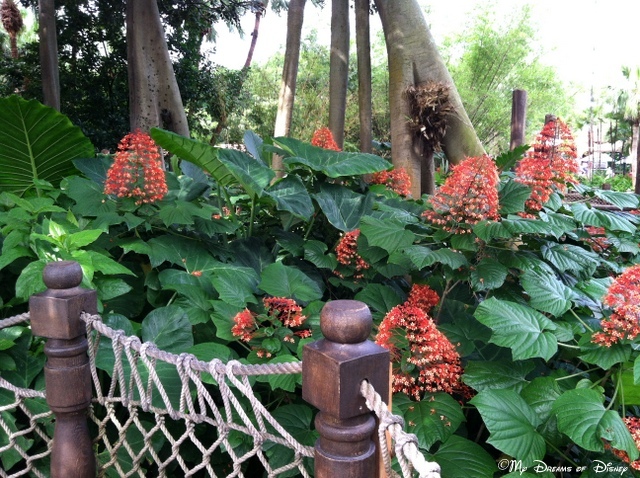 Do you and your family enjoy Swiss Family Treehouse, or do you skip it? Let me know in the comments, and thanks for stopping by!